Another teeth-chattering winter is closing in…are YOU prepared? It’s likely you’ve packed away your summer clothes, gotten out the heavy coats, covered the swimming pool and purchased a snow shovel and ice scraper. But have you thought about what you need to do to winterize your home? For instance, if you have a propane heat system, you should make sure that the tank is full. Waiting for the cold to settle in, then running out of propane is NO fun. Fill up before Old Man Winter comes to visit. Time to Winterize Home? Let Propane Help! That’s just one example of what you’ll need to do as the warm months fade and the long winter is on the horizon. 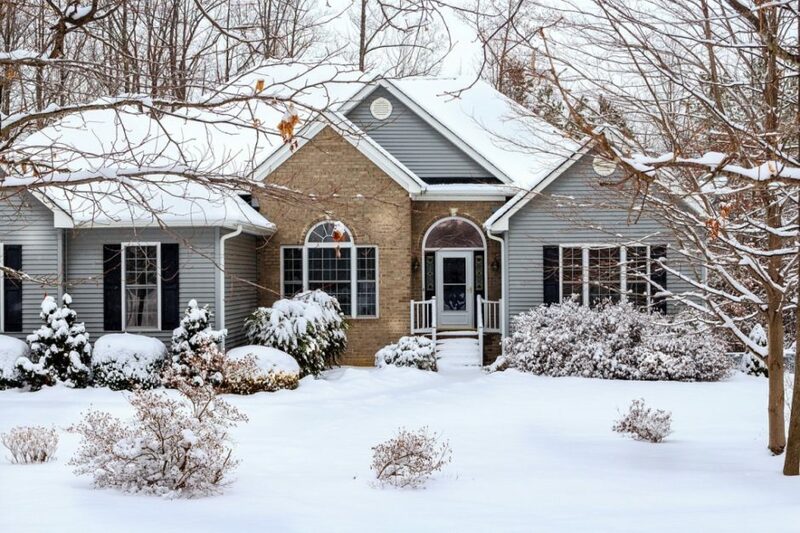 We’ll take a closer look at what you need, and what you need to do (and in some cases not do) in order to winterize home and ensure a successful transition between seasons. From propane tanks to propane heat, there are some things you’ll need to consider if you’re a propane user and winter’s approaching. If you have an outdoor propane tank or tanks, you should consider that the cold affects the pressure inside your tank. It’s best to keep an adequate level of gas in the tank–get it filled if you’re 20% or less full. Keep a close eye; if your tank runs low and weather does not allow for prompt delivery, you could very well be caught in the cold. It’s not recommended to cover these tanks in any way; you might think you’re insulating them against the cold, but at the same time the tanks will not receive the warmth of the sun so you’re in essence keeping the gas cold, which will still affect the pressure. And if snow builds up on the tanks, brush it off. The snow will just make the gas inside the tanks that much colder. Get your propane heating system checked out by a professional, such as those who work for Diversified Energy. They’ll replace filters and check vents and other components to make sure you’re in top shape as we head into winter. And if your propane furnace is an older unit, consider upgrading it to a more efficient one. You’ll burn less propane, get more heat, save money and have peace of mind. Now is the time, if you don’t have one, to consider an alternate propane heat source in case you lose power and you rely on electricity to power your heating system. A propane stove or fireplace is ideal to warm your home until power is restored. Some units can heat over 1,000 square feet. Consider your needs and check out your options. For heating, cooking and other needs, Diversified Energy is ready to be your go-to source for propane this winter. Join 25,000 other North Carolina and Pennsylvania residents and look to Diversified for automatic propane delivery service as well as repairs and installations. Our professional technicians can install propane products such as stoves and fireplace inserts, gas lines and above- or underground storage tanks. Visit one of eight showrooms throughout NC or our Mount Joy, PA office to find out more about the services and products Diversified Energy offers. You’ll find several of the products we offer, such as stoves and fireplaces from leading manufacturers, on display in our showrooms, so you can get an idea of what might be best for your home and needs. This winter and every season, Diversified Energy is a propane supply company you can count on.